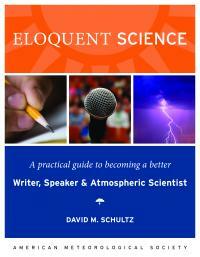 Award-winning literature on weather, water, and climate. Combining years of data with recent research, this comprehensive and accessible guide breaks down climate change into straightforward categories: the basics, the symptoms, the science, and solutions and actions. With a scientist’s understanding and a journalist’s voice, author Bob Henson has expanded this well-known primer to include global record highs, the Paris Agreement, and more. Now available! The second edition of The Thinking Person's Guide to Climate Change arrived hot off the press amidst the Annual Meeting in Phoenix, and 20 lucky people got their copies. 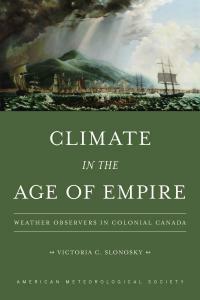 Now you too can get AMS's bestselling climate change primer, written by Robert Henson, writer and meteorologist for The Weather Company as well as the author of 50 articles for Nature, Scientific American, Discover, Sierra, and The Guardian. Calling all weather photographers! AMS Books is always seeking dramatic images of weather phenomena for the covers and interiors of our books. Think you have a good photo to share? Get in touch with us! Join a proud tradition. AMS Books topics in the works: Abbe and Fujita biographies, the related histories of photography and meteorology, intersections of weather and psychology, atmospheric optics, and more! Contribute your ideas or expertise on these subjects today! Sundar A. Christopher put in writing the advice he wishes he had received in his early career as an academic.